Quantitative Production by 3 Milling Turrets with Y-axis! 3rd turret (lower turret) minimizes the cutting time difference between OP-10 and OP-20 to balance cutting tempo. 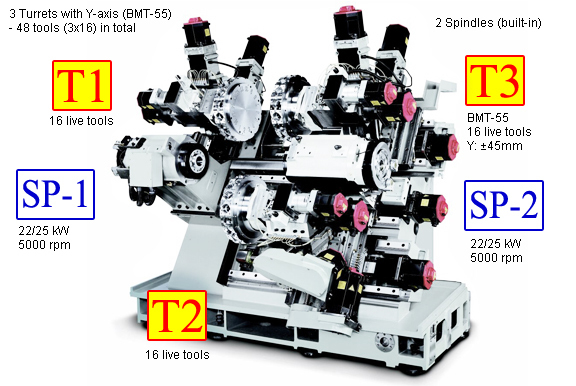 3rd turret offers sufficient 32 tools for both OP-10 and OP-20 machining applications. 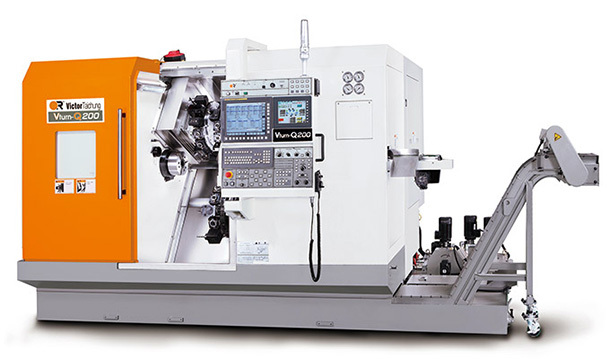 3rd turret can be used as traveling steady rest, work rest or tailstock for more flexible applications. No. 2088, Sec. 4, Taiwan Boulevard, Xitan Dist, Taichung City 40764, Taiwan. ©2017 Copyright Victor Taichung Machinery Works Co., Ltd. All Rights Reserved.